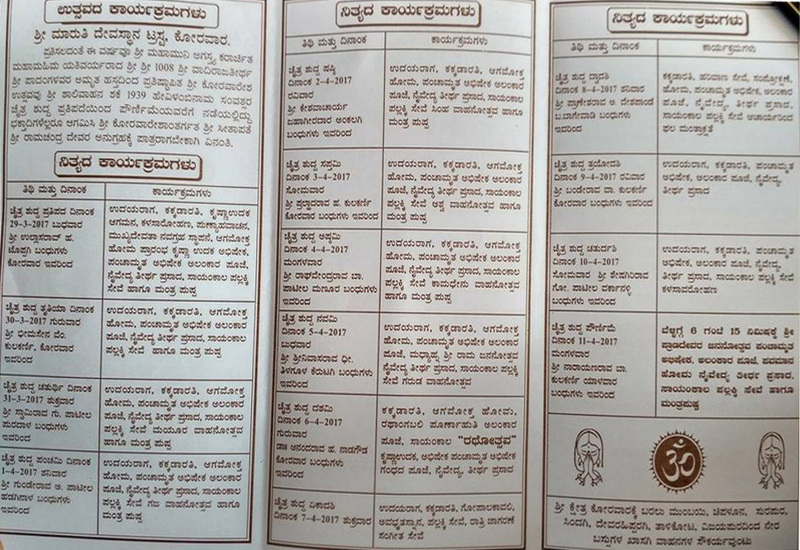 Sri Ksethra Korwar is initially called Kokilapur,The Korwaresh Vigraha is consecrated by Sri Sri 1008 Sri Vadiraj Teerth from Sonde Math in the year 1535. 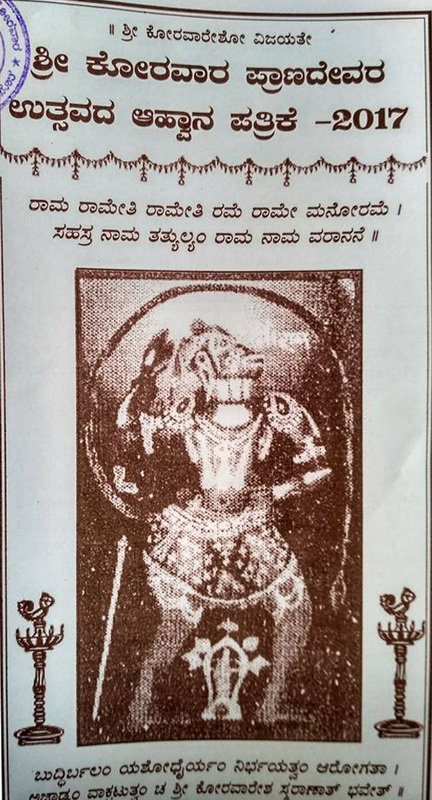 It is said that Lord Korwaresh himself asked to establish the vigraha (statue) in this village. The vigraha is like Shaligram. it is of 5ft, the vigraha with hand above the waist, and blessed the devotees. Eye, ear, shoulder, hand, the feet are clearly visible. 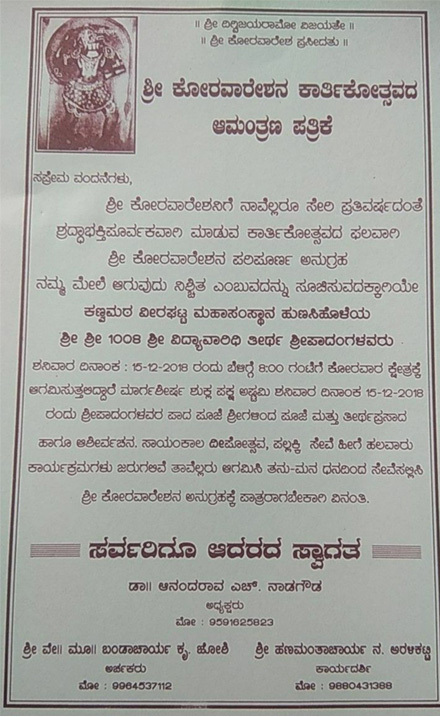 Every year from Ugadi festival to Hanuma Jayantii programs will be celebrated in Korwar. 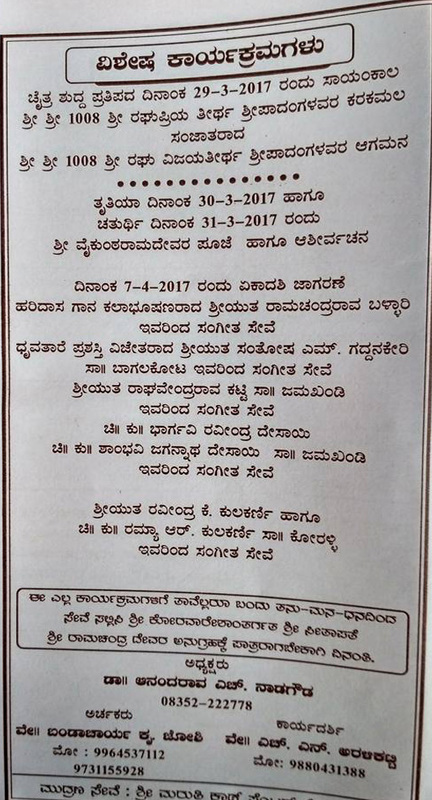 Every Saturday Pallki Seva, Hanumad Vrata, Kartika Samaradhane, Madvanavami will be celebrated by the devotees.